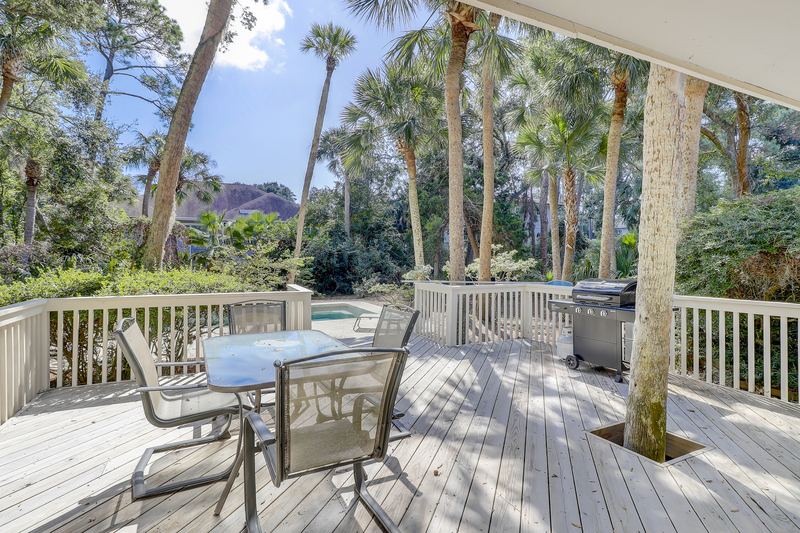 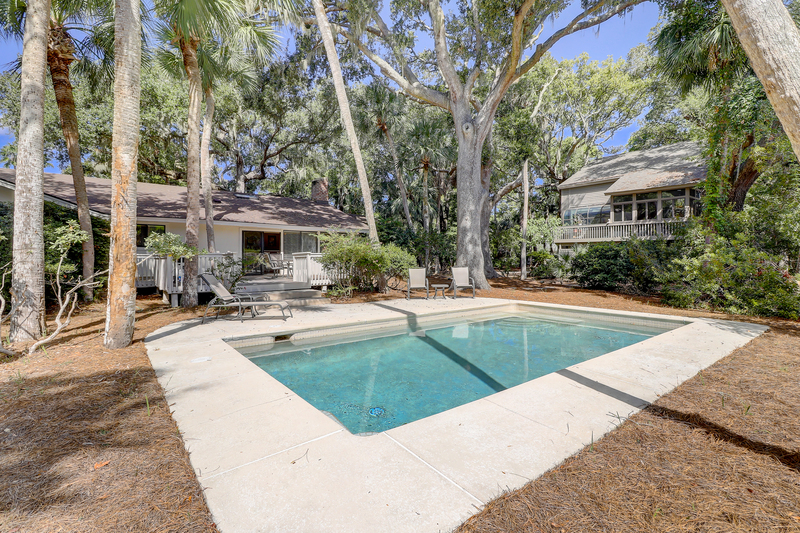 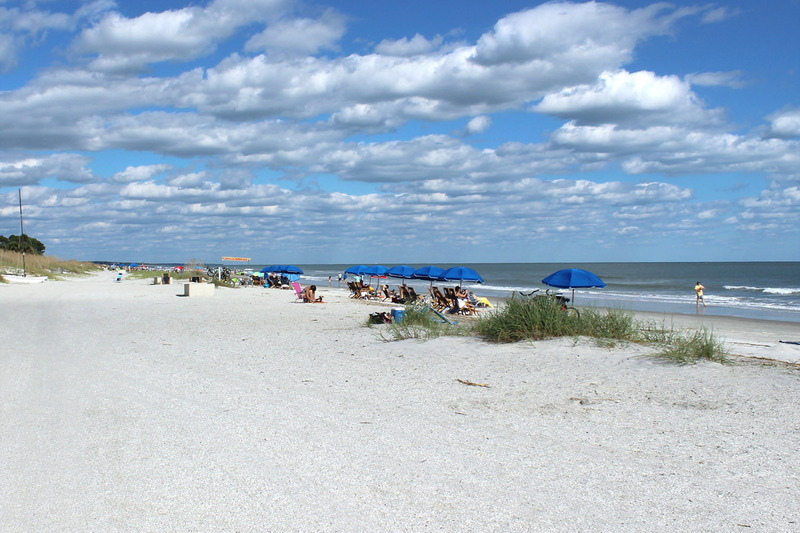 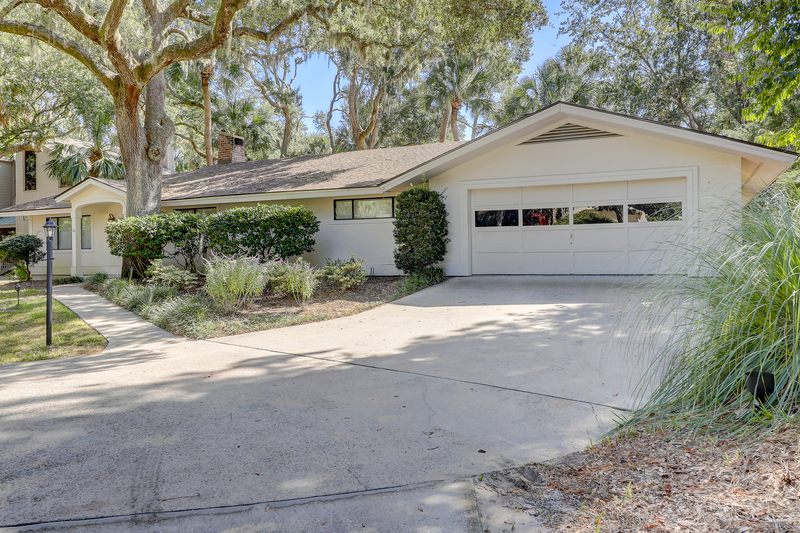 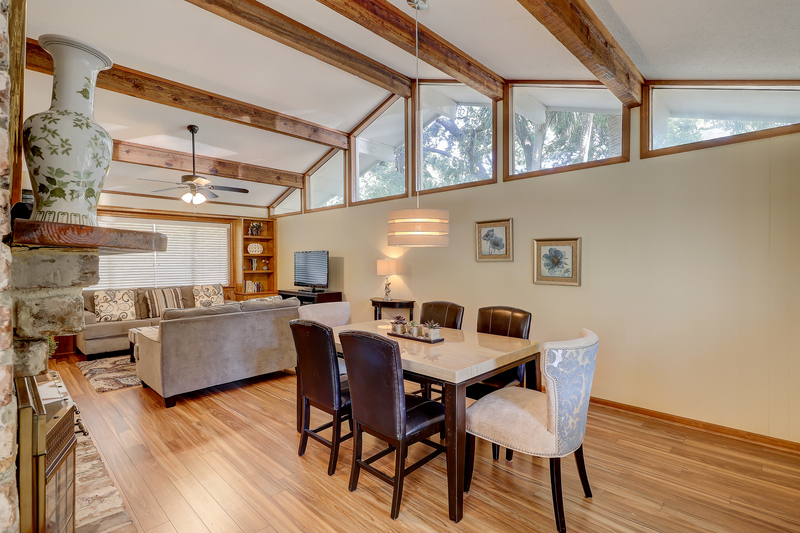 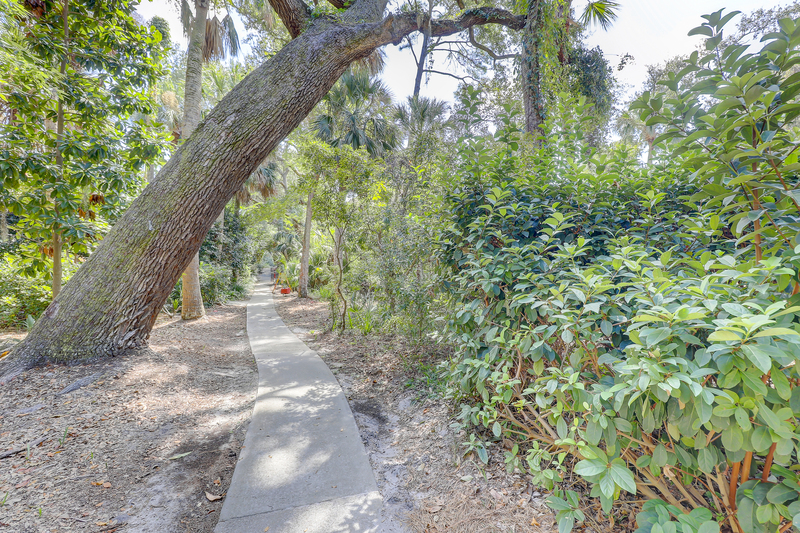 Boardwalk is a ranch style house that is located right next to the beachwalk, which makes for a very short walk to the famous white sand beach of Hilton Head Island. 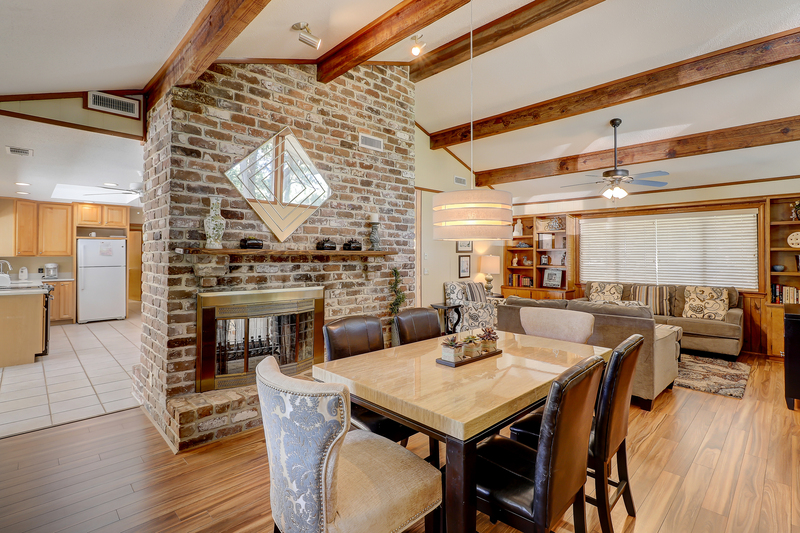 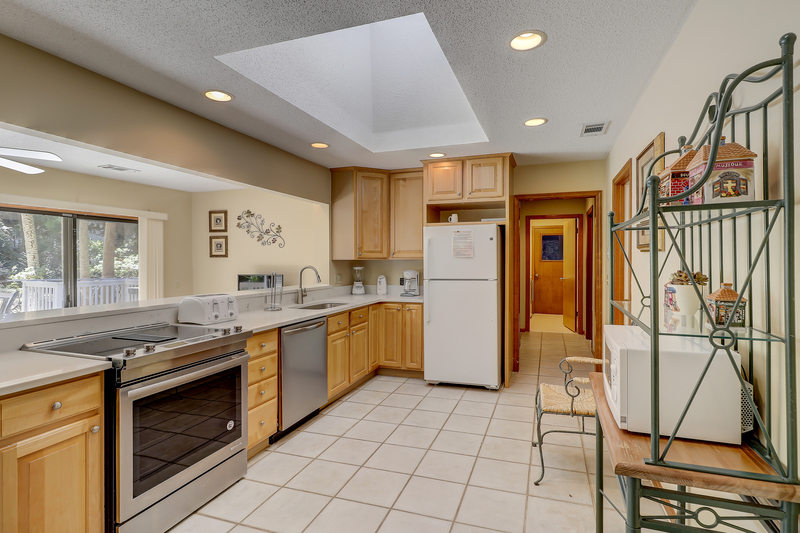 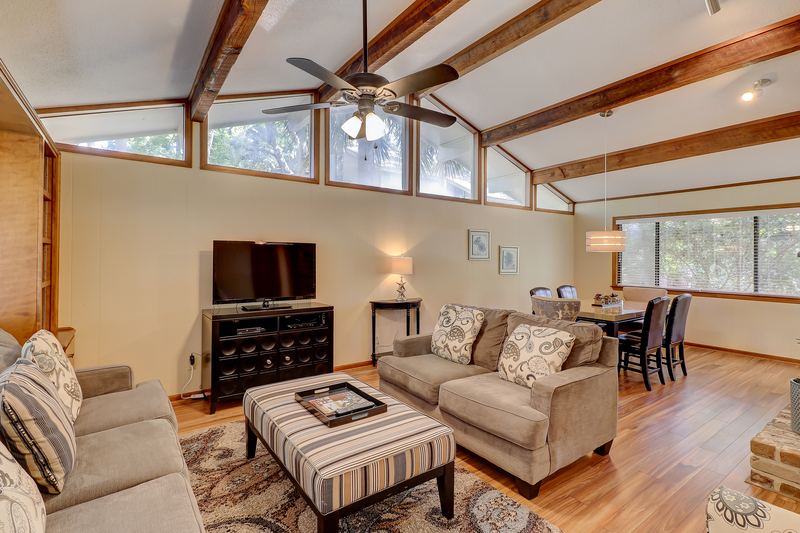 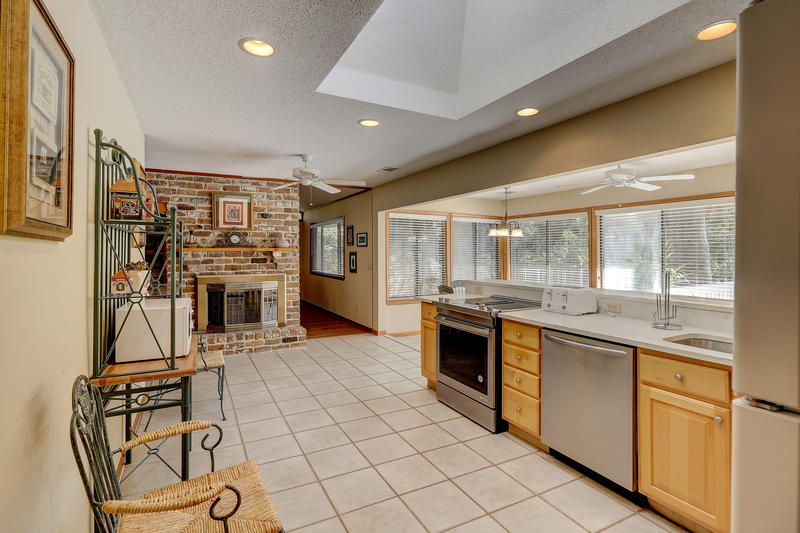 The home has a large open living/dining area with vaulted ceiling, and a 42" flat screen TV in the living area. 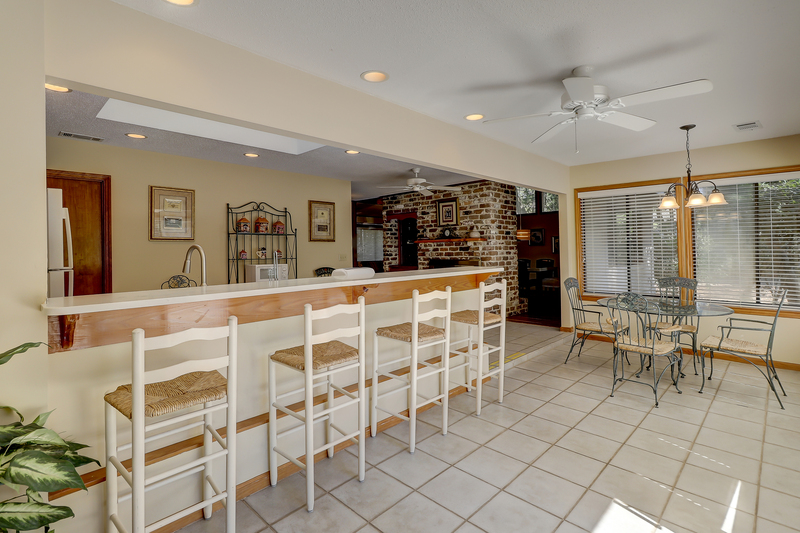 Adjacent the living and dining areas is an open kitchen and breakfast bar with high chairs and a dinette table with four chairs. 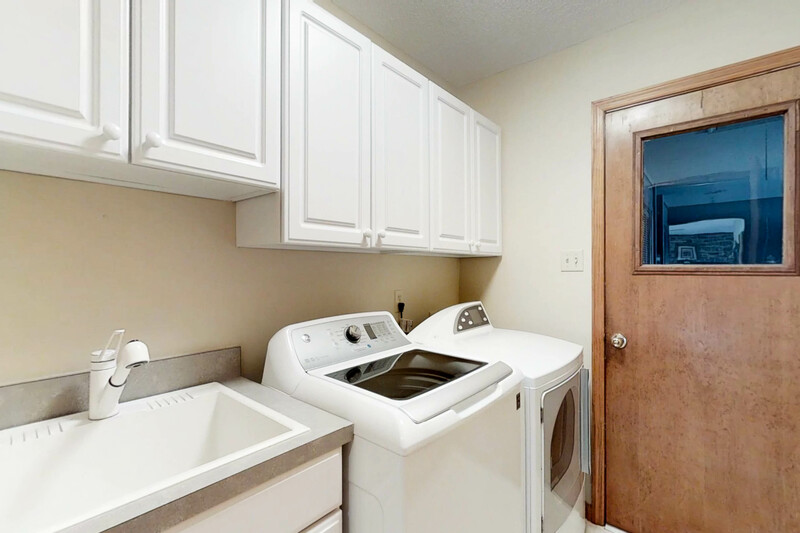 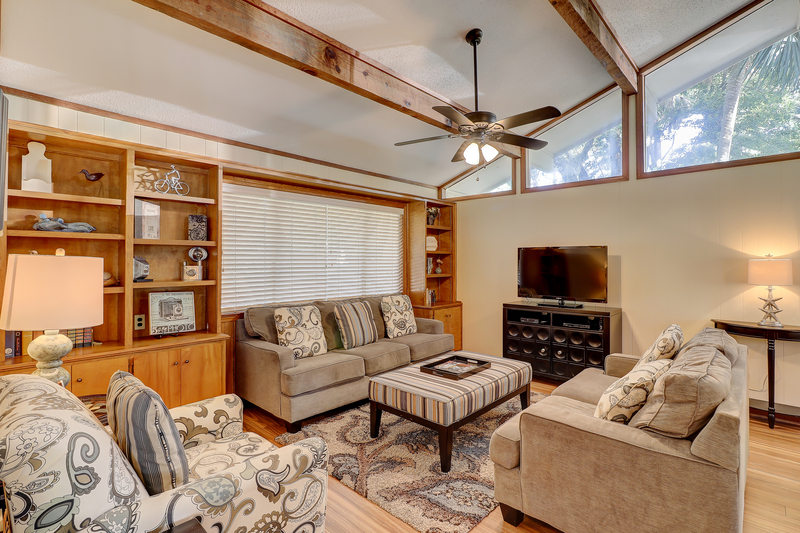 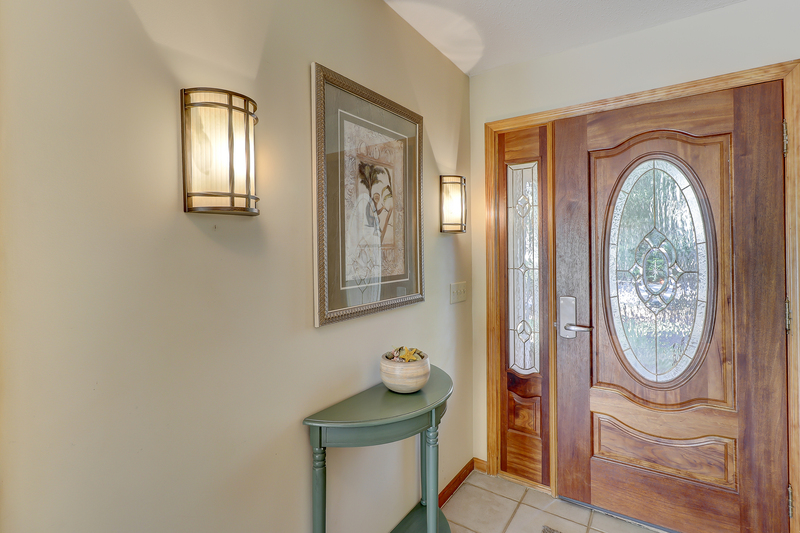 This area merges with a traditional "Carolina Room" that has a 37" flat screen TV. 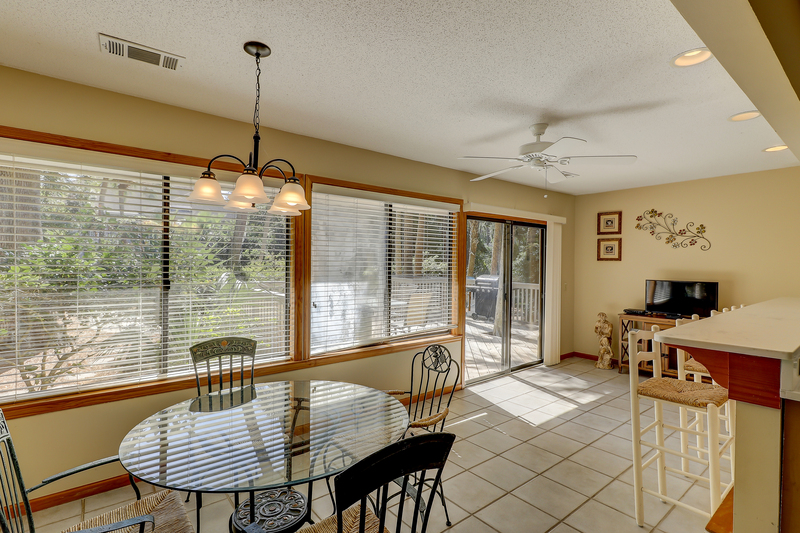 The entire area is showered with natural sunlight from the ample windows and sliding doors that open to the private pool. 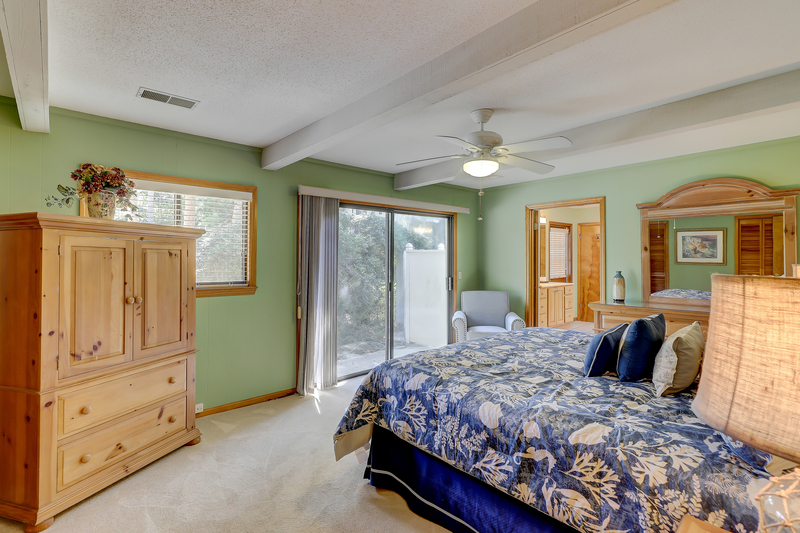 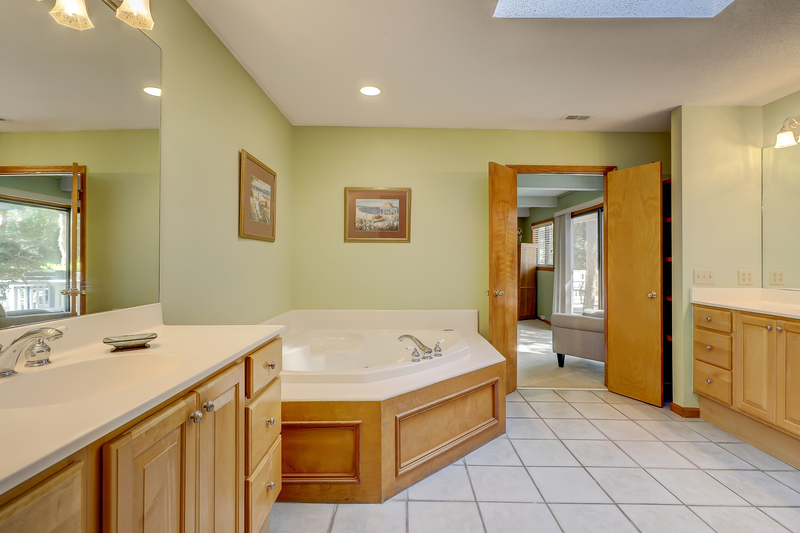 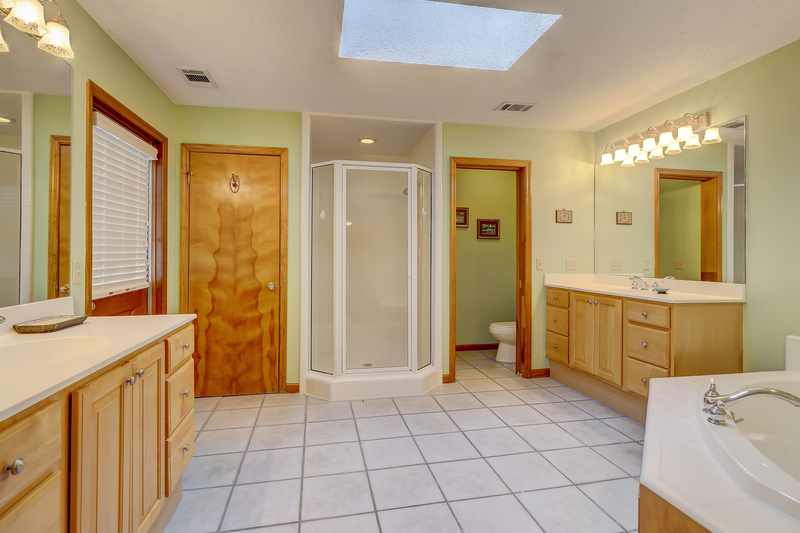 The master bedroom has a king size bed, a 28" flat screen TV and a full private bath with soak tub and walk-in shower. 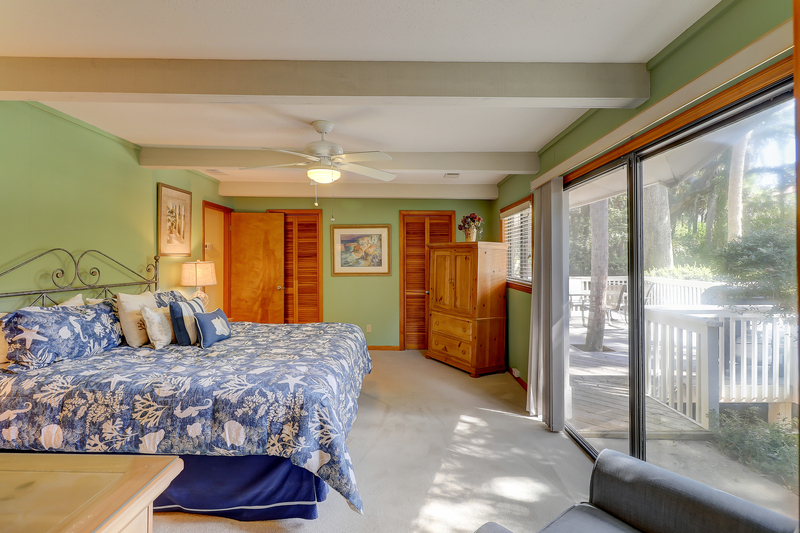 This bedroom offers direct access to the pool through a sliding glass door. 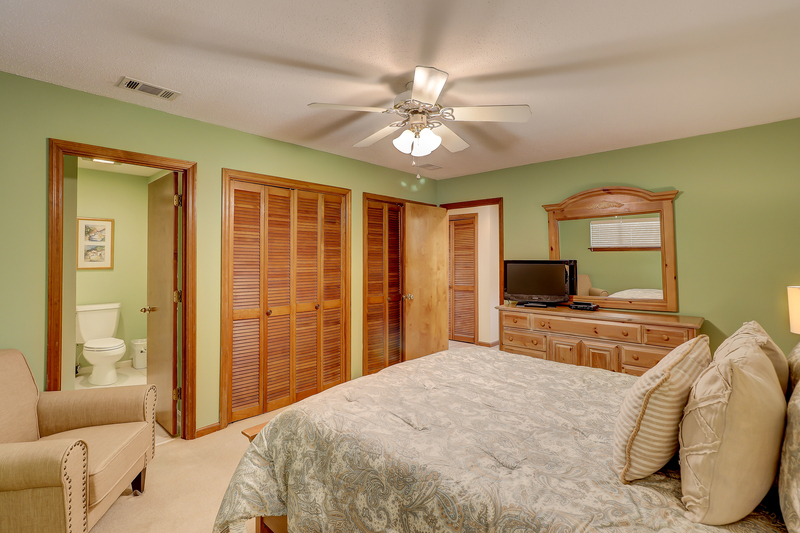 The second bedroom has a queen size bed, 27" flat screen TV, and full private bath. 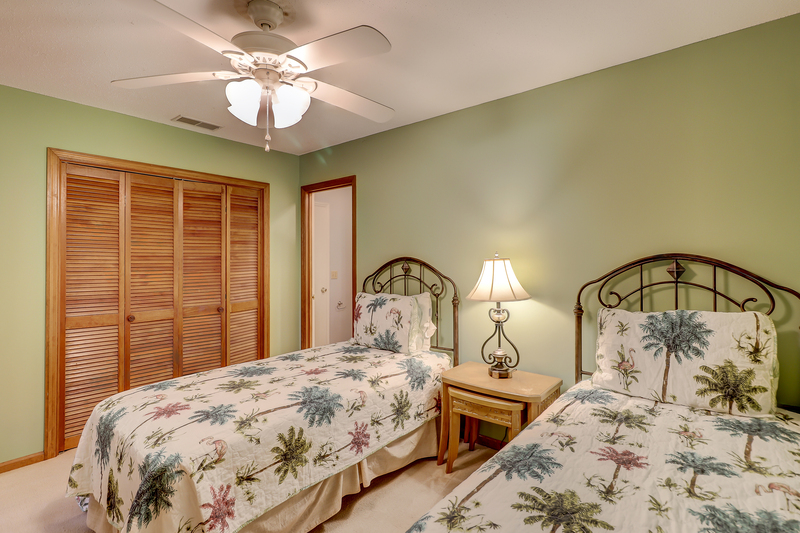 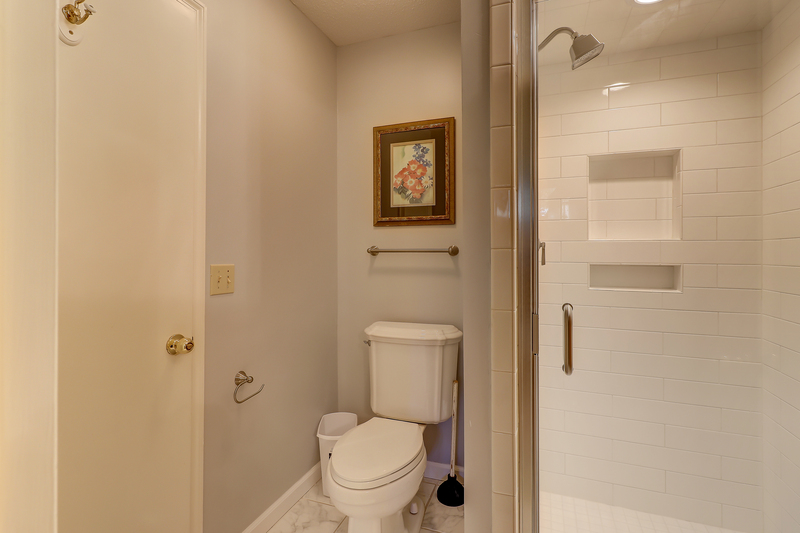 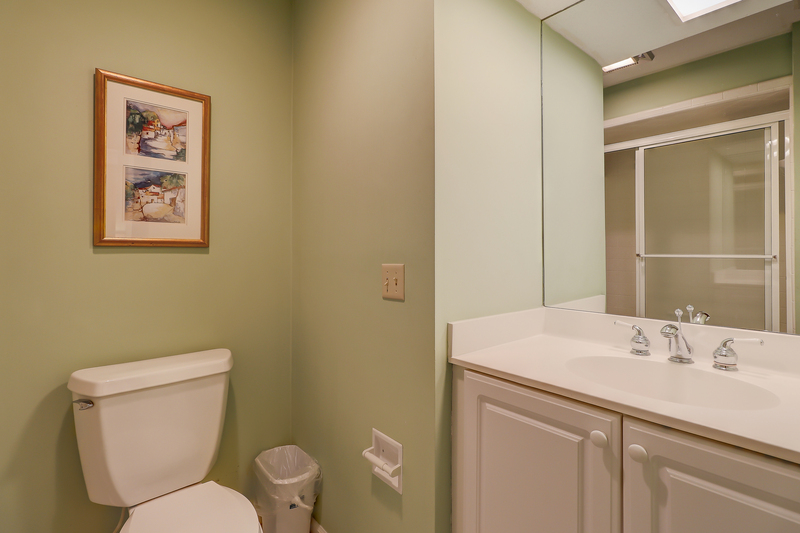 The third bedroom has two twin beds and has access to the hall bath that has a standing shower. 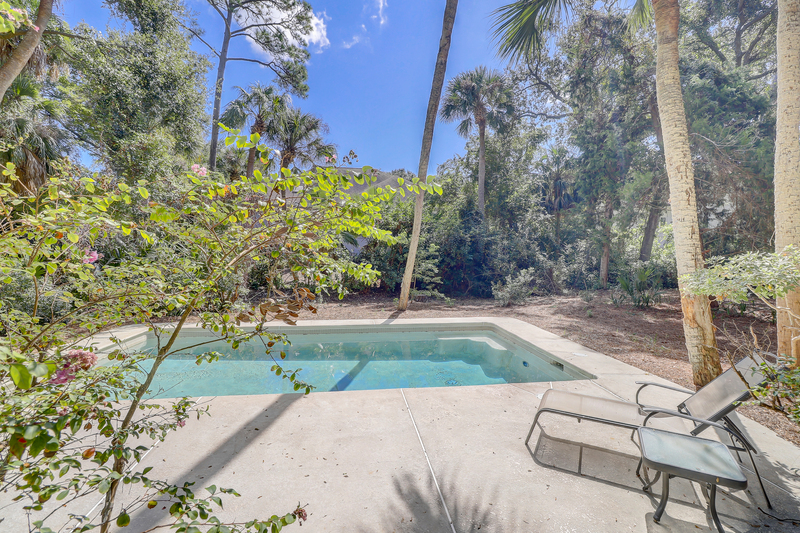 The private back yard, surrounded by landscaping, offers a large pool and ample decking to lounge the afternoon away.